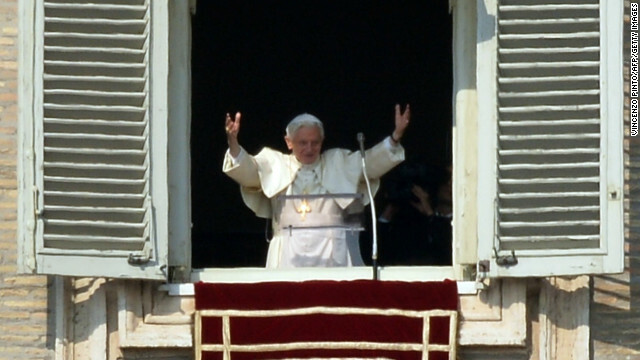 Pope Benedict XVI waves as he arrives to lead the Angelus prayer from the window of his appartmnents on February 17, 2013 at the Vatican. (CNN) – Pope Benedict XVI led tens of thousands in a prayer for strength Sunday and thanked followers for their support during his second-to-last Angelus prayer as pontiff. "Today we contemplate Christ in the desert, fasting, praying, and being tempted," the pope said to an unusually large crowd at St. Peter's Square in Vatican City. "As we begin our Lenten journey, we join him and we ask him to give us strength to fight our weaknesses. Let me also thank you for the prayers and support you have shown me in these days. May God bless all of you!" Next entry »Could Pope Benedict be put on trial? chanel handbags sale Borsa louis vuitton cheap Seattle Seahawks jerseys cheap ugg boots outlet store If you have been a victim of a dog attack or if any of your close relatives have suffered injuries due to dog bites, you should not let the owner go without compensating you for the mental shock that you went through, let alone the harassment. For this reason, you should ideally hire a professional , who can represent your case in the court of law. A dog bite lawyer is a trained lawyer who is specialized in dealing with the cases of dog bites. They have the requisite knowledge about the important laws that are in place for the dog owners and also the victims of the dog bites and the rights that these individuals can demand on the court of law. They can thus present your case in such a manner that you would get the necessary amount of compensation that you deserve for paying the medical bills and also to cover up any of the lost wages that was spent while you were recuperating from the dog attack. more lies from the xtians – 207! Ratzenhitler finished his speech by saying..."Go forth and bugger thy children". And died in baseness-and their law is dust." The pope is pooped. And tired of wearing that rediculous hat. And he was afraid that the Paterno report would reveal his involvement in the Penn State scandal. The pope told Joe, "Be a good catholic Joe and look the other way."